You can do so much more with a power meter than train, but it’s a good start. The ability to optimise your riding position, equipment choices and even your nutrition make any power meter into a tremendously powerful tool, one that’s increasingly prevalent amongst today’s keen amateurs. When it comes to choosing a power meter, in 2013 your choice still boils down to an expensive crank-based one (SRM, Quarq, etc) or the more reasonably-priced CycleOps PowerTap hub-based system. There are two basic choices in the current range, the Pro (reviewed here) and the far more expensive G3 series (which are lighter and easier to service). Wiggle have a 24% discount at the time of writing (check with Chain Reaction too, as offers come and go). For the purposes of 99.99% of people reading this review (that means you) the accuracy differences between power meters are insignificant. That doesn’t mean that they don’t exist (or that they might not be important in some specific circumstances) but unless I made my living riding, I can’t say I’d worry about it when there are so many more important things that impact your training. German company Power2Max are offering a comparably-priced crank but it’s still early days for them, with reports of consistency issues (which is much more important than absolute accuracy – it doesn’t matter much if your reading is always 10W too low, so long as it reads the same thing for each ride!). If you already have an Ant+ compatible PowerTap hub, there’s little advantage to be gained from a switch to the PowerTap Pro. The weight saving is simply insignificant (40g versus the old Pro+). On the other hand, if you have an old wired PowerTap model then this is definitely going to offer a great improvement, as you can tie it with a wide variety of head units, particularly Garmin’s excellent Edge GPS series. For my money, I’m not too sure the expensive G3 series is as sensible a choice – it saves a little bit of weight, but at hefty cost. Why not spend the same money upgrading other parts of your bike for much greater weight savings? A nice lightweight rear hub for a road bike comes in at about 275g, if you want something reasonably practical and not overly exotic. 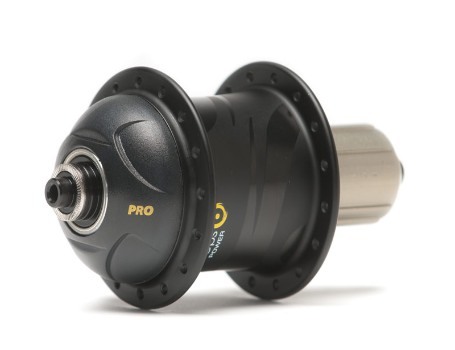 By comparison the PowerTap Pro weighs a relatively hefty ~450g, a premium of around 175g. What will that cost you in terms of speed? Pick a climbing speed for the PowerTap hub (15mph) and multiply by 1.002 to get the climbing speed for the normal wheel for equal effort (15.03mph). At the end of a 15 minute steady climb the PowerTap wheel would be 0.03*0.25 = 0.0075 miles behind (around 12 meters). 15mph is 6.7 meters per second, so the PowerTap Pro loses two seconds every 15 minutes of solid climbing. That’s the physics – the effect is obviously negligible on anything less than a steep hill. The ability to pace yourself according to your established power threshold easily offers the ability to pull in two seconds every 15 minutes. 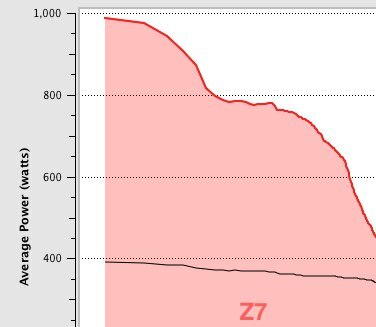 I realised an improvement of seconds per minute due to superior pacing when I started hitting Strava with my PowerTap. 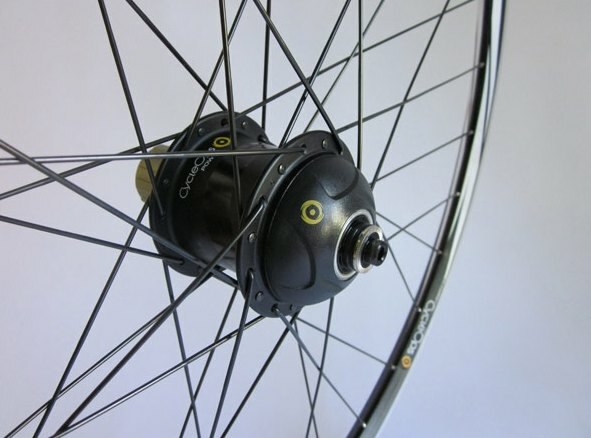 The PowerTap is built into a wheel. This is bad, because you can either have a training wheel or a race wheel but not both. If you only have one bike, that would make the case for a crank-based meter stronger, but if you have multiple (or think you might upgrade to a bike with a different bottom bracket format, for instance) then the PowerTap’s a clear winner. This couldn’t be easier: tell your head unit (Garmin, iPhone, Android or other) to search, then spin the wheel. It will acquire immediately. There’s no denying that the PowerTap is an expensive tool for the vast majority of us who aren’t racing professionally. That said, compared with the money you’ve probably spent on bike gear over the years, is it really so much to allow you to record with accuracy and precision how much force is going through your back wheel, with all the analytical power that places at your disposal? You’re saving a lot of money compared with paying for a coach (and if you do have a coach, you’ll both get a huge amount more out of your training). It might either free up some training time for other life pursuits (or household chores!) if you just want to intelligently match the riders in your regular weekend group, or allow you to make a step change in performance if you keep putting in the same hours. I’ve found the pacing provided by a PowerTap to be a tremendous help on long distance events (even though, by and large, I use a non-PowerTap wheel on those events – it’s improved my ability to ‘feel’ effort no end). In short, if you’re even vaguely keen on measuring and improving your performance the PowerTap is the only game in town. Whether it’s worth the money or not to you personally? Only you can say! As I mentioned above, these hubs are often on offer, which could reduce the sting. Wiggle have a 24% discount at the time of writing (check with Chain Reaction too, as offers come and go). I worried that I might regret my first PowerTap due to the cost, but I’ve never looked back. One advantage of the PowerTap G3 series is that the electronics are located in the hub cap only, so it’s easy to detach this and return for servicing if you are unlucky enough to find a fault. 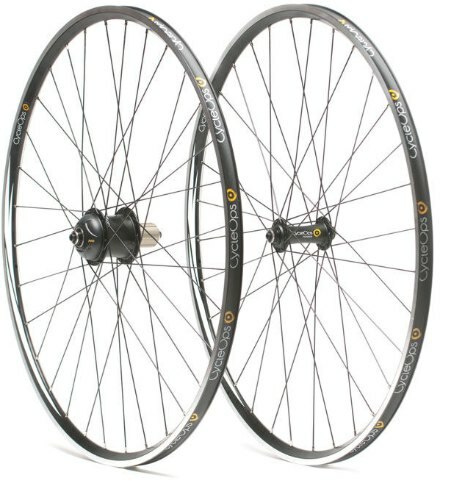 The PowerTap Pro, on the other hand, would require you to return the whole wheel for an electronics fault. Fortunately, there’s a UK service centre! I haven’t been in this situation, but there are plenty of customer reports praising their rapid turnaround, so I’m not sure it’s really a reason to buy a hub that costs a massive amount more. How inconvenienced would you be to have to ride without power for a week? Battery changes (standard coin battery) are straightforward while the bearings can also be serviced by your local shop provided they use a press and don’t slam the electronics around with a mallet. Which should be obvious really. The CycleOps PowerTap hub is not a cheap bit of kit by any means. Nevertheless, despite being (only) a keen amateur, I haven’t suffered a moment’s remorse. If you’re serious about understanding what’s going on when you ride, and becoming a stronger rider, I totally recommend it. Like me, you’ll soon forget the cost. The Pro is an older design and the reason why retailers are discounting it now is that it is being discontinued. However, Power Tap will continue to support and service the Pro for a while yet. As for accuracy and consistency, first, if this will be the only power meter you ever own and you won’t replace it when it eventually gets too old to work, then you can ignore accuracy. However, if you will ever own another power meter (whether a Power Tap or any other brand or model) you won’t be able to compare the data unless you have some way to determine its accuracy. Fortunately, for many (though admittedly not all) of the currently popular models you can do a static check of their accuracy.